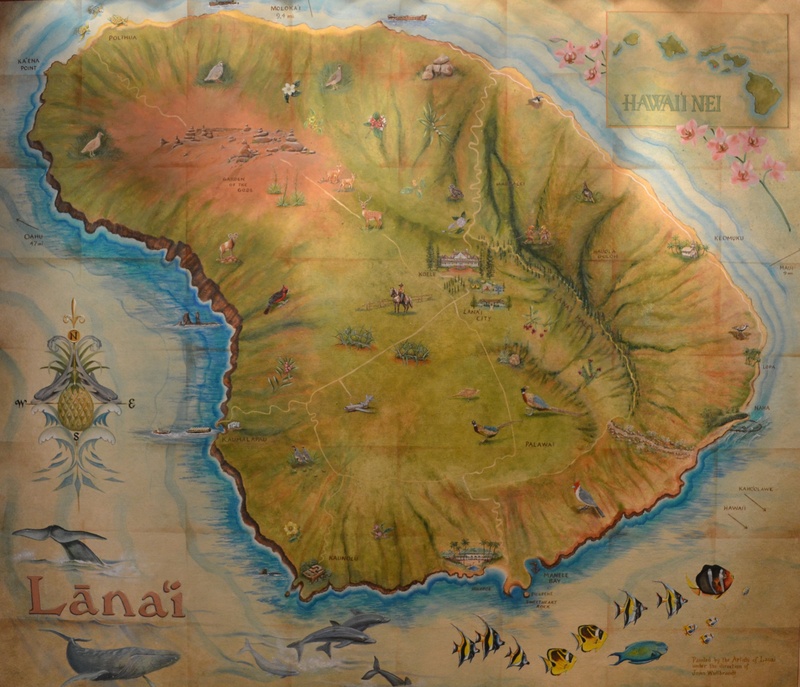 You are here: Home » Is the Four Seasons Manele Bay Better than the Koele Lodge? 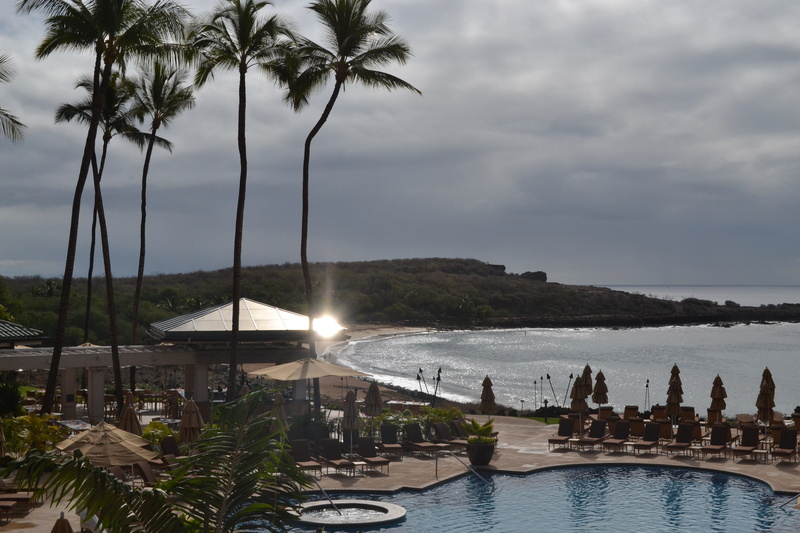 Is the Four Seasons Manele Bay Better than the Koele Lodge? I scratched my head when I saw the U.S. News and World Report ranking for the Four Seasons Resort Lanai at Manele Bay, apparently only the sixth best of all of the hotels in Hawaii. I couldn’t agree with that. My stay was so much better than the sixth best in all of the Hawaiian Islands. It even strongly competed with the second best place to stay in the country, its up-island cousin – The Four Seasons Resort Lanai, the Lodge at Koele. It was apparent as I was lead to my room by the concierge. 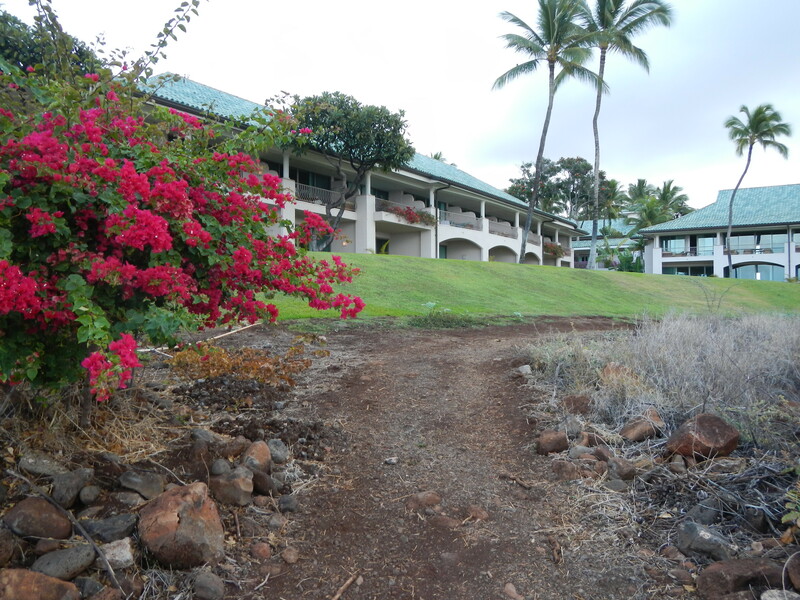 Before I get to talking about the rest of the resort, I want to talk about the transfer from the Lodge at Koele to Manele Bay. Simply put, it was fantastic. Seamless. And because of that, it was impressive. I didn’t have to worry about a thing. All I had to do was tell the concierge when my bags were ready to be transferred. While I was out enjoying Lanai, they’d go to my room, grab my things, and transfer them down to Manele Bay. When I was ready, I could grab the shuttle bus from Koele to Manele and show up at my leisure. There was no checking out, no checking in, nothing like that; it’s a one-time check-in. 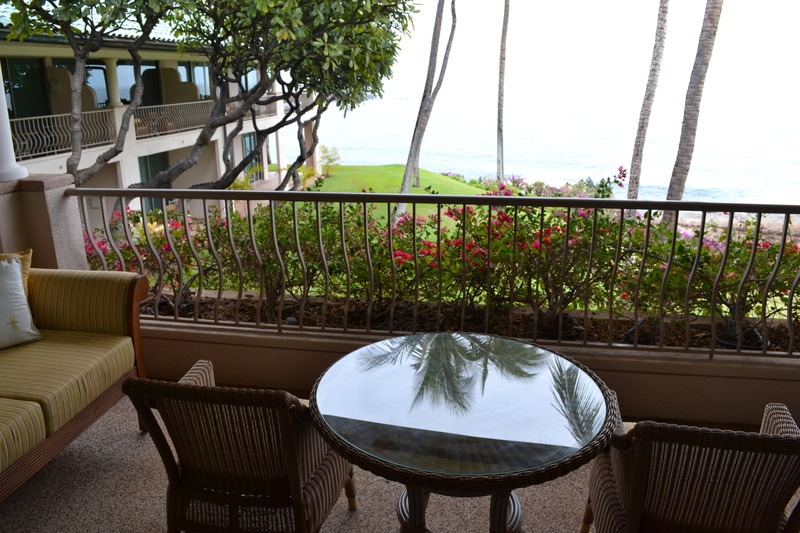 So when I arrived at the Four Seasons Resort Lanai at Manele Bay, I’d grab my room keys at the front desk and be lead off to my room – luggage and everything already there waiting for me. It was easy and no fuss, just like I’d want on a Hawaiian vacation. 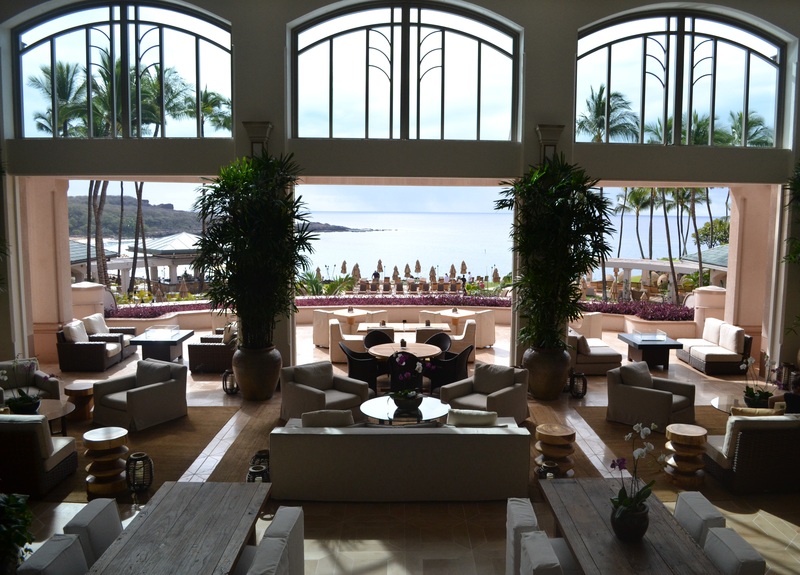 It was love at first sight when I arrived at the Four Seasons Resort Lanai at Manele Bay. The grounds were beautifully manicured, the hotel laid out to greet guests with a stunning view, and, most importantly, the staff was extremely friendly and professional. 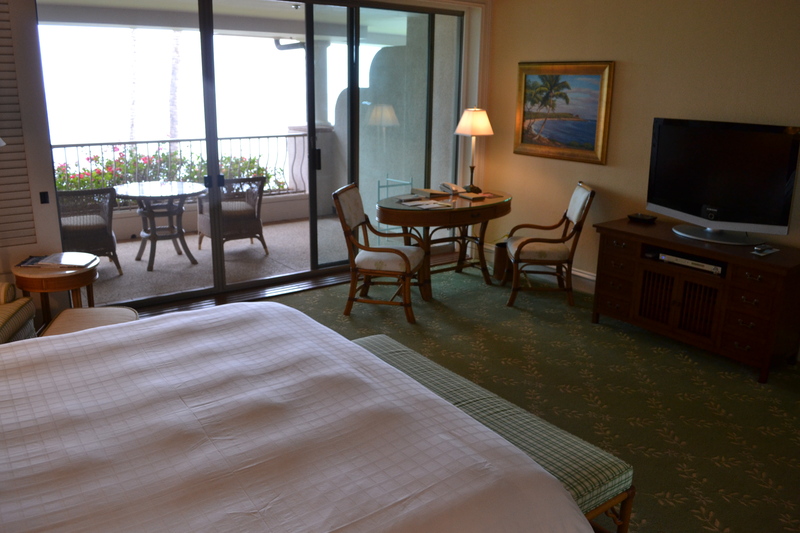 It was everything I would want in an Hawaiian classic beachside resort stay. I was nearly knocked over when I walked into the lobby. 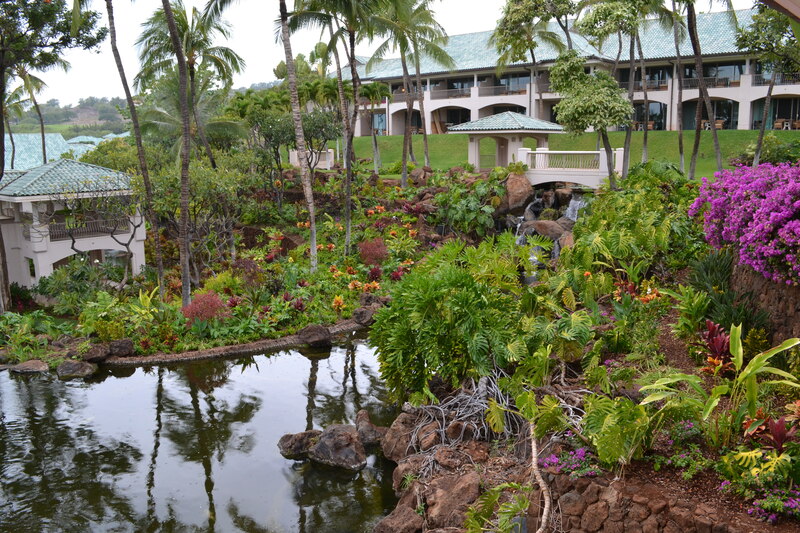 The view caught me so off guard, and continually captured my attention through my Lanai Visitor Bureau hosted stay. I couldn’t stop photographing it from no matter where I was in the resort, so many places opening up to Manele Bay; the resort’s walkways, the rooms, and the restaurants look out to it. Leaving the sight to head back upcountry was a great disappointment. My head whipped to the left and right as I walked to my room. The interior gardens were spectacular, a fantastic touch to brighten the resort and make it feel tropical wherever I walked. 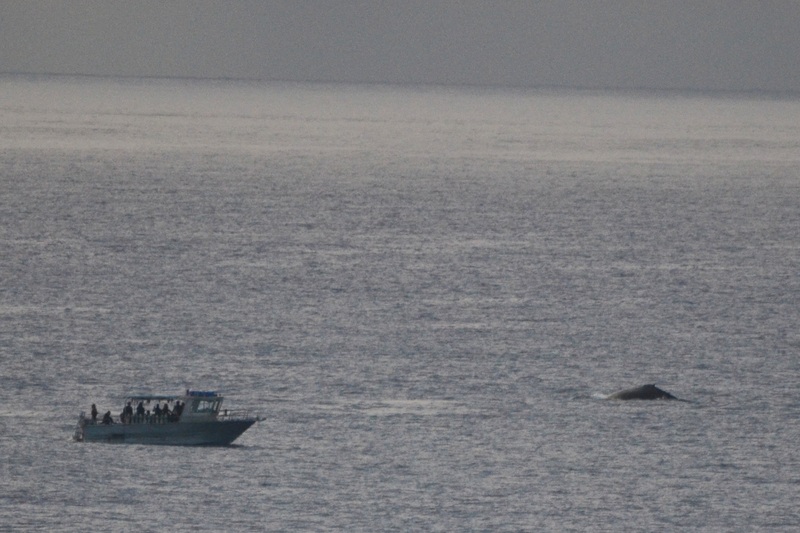 And then I walked into my room and saw it was only a shadow of what was out there – a stunning view of the Pacific Ocean, complete many times throughout the day with breaching humpback whales. I couldn’t believe it was I lounged on my balcony, feet up and looking out to the water. Time after time a baby humpback whale breached and crashed down into the ocean as mom looked on. The sight caused me to giggle with delight. The rest of the room, spacious and comfortable, was an afterthought. Sure, I spent time in the room – snoozing in the king-sized bed or showering off in the huge bathroom before or after time in the ocean – but for me it was all about the balcony. Even when I was asleep it was about the balcony, the doors pushed open wide so the crashing waves could lull me off to sweet Hawaiian dreams. Just as during my time at the Lodge at Koele, I made sure to head out on a hike. While the Koloiki Trail took me through the upcountry woods, Manele Bay’s nearby Fisherman’s Trail hike lead me to stunning views along the seaside cliffs and through rocky gulches. I’ll discuss that more in another post, though, since there are so many complimentary activities in the area. And while I did my best to try as many of them as I could, unfortunately there wasn’t enough time to do it all. The Challenge at Manele – the Jack Nicklaus-designed golf course – held a certain appeal, but I’ve never been much of a golfer. I tried in high school, doing my best as a caddy and golfer, but my interest never stuck. So I skipped it in favor of doing what anyone should do while they’re in Hawaii, and that is spend time on the beach and in the water. The one problem for me with water sports: I can’t swim. I took lessons as a kid, have since tried, but might just be the one person on the planet who can’t even float. That didn’t stop me from trying some shallow water snorkeling, though. It was free to resort guests, so after picking up an underwater camera, I headed down to the bay to see what I could photograph underwater – unfortunately it wasn’t much, since I couldn’t get out far enough. Nonetheless, the day was well spent enjoying the sun and surf. 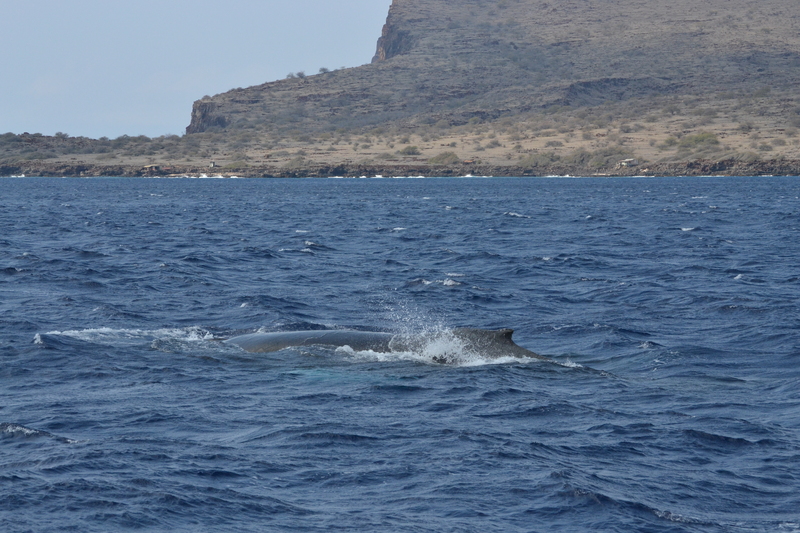 None of it topped my time out whale watching with Trilogy, which set sail out of nearby Manele Harbor. I could spend all day watching whales swim about, and not consider it wasted. They fascinate me in so many ways, and to watch them pop up for air and breach is a delight I can’t completely describe. But I’ll try, as I’ll write more about it, as I will with all of these activities, in future stories. 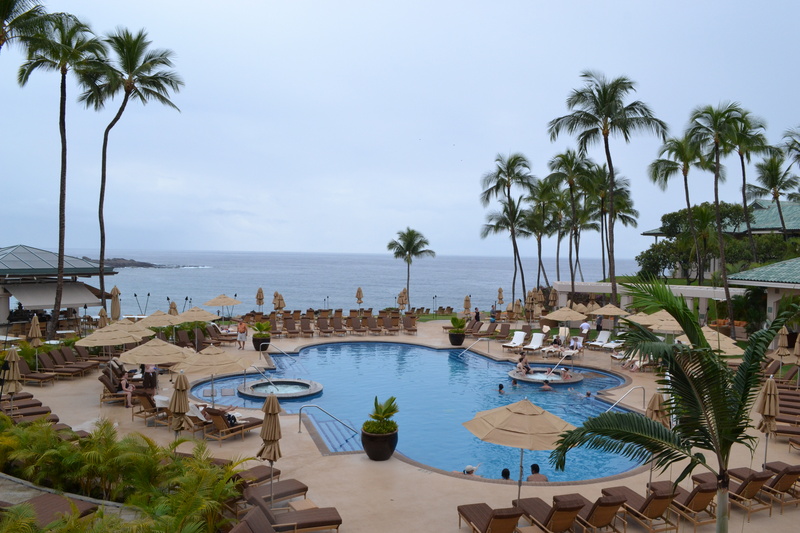 I wanted to spend more time at the Four Seasons Resort Lanai at Manele Bay’s pool. A lot more time. But with the ocean only a few steps away, it’s hard to justify a pool no matter how many great services they provide – drink delivery, digital device cleaning (for when you get sunscreen all over your phone or tablet) and charging, and more. It’s beautiful and wonderfully laid out, but the ocean was where I wanted to spend my time. Well, that is when I wasn’t melting under the fingers of one of the resort’s fantastic massage therapists. A lot of stress had built up in my muscles. Some of them even ached for reasons beyond my comprehension. But when I was done with an hour-long session, as well as additional time spent in the sauna, steam room, and rain forest-style shower, I was as right as, well, rain. Manele Bay offered me one of the best massage experiences I have ever enjoyed. It was so wonderful, as a matter of fact, that I asked if I could extend it for another hour. Sadly, the therapist was booked up at that time, but at least the option was there to return to experience the other amenities in the spa any time I liked. The choice of restaurants at the Four Seasons Resort Lanai at Manele Bay makes it a true resort, a place where you can spend your whole vacation and feel perfectly content with the fact that you never left. And with such great food – much of it local from the Hawaiian Islands – easy beach access, and tons of area activities, why should you need to go anywhere? 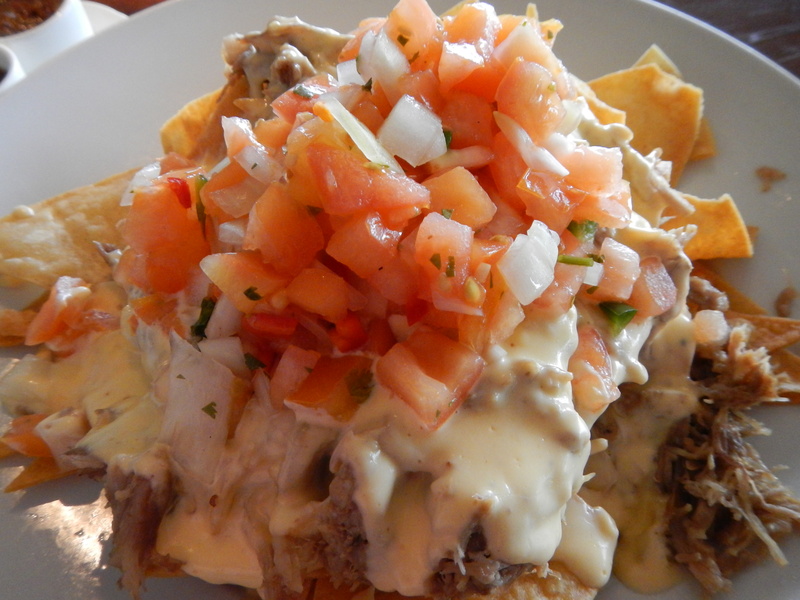 Manele Bay had everything I needed, and then some – especially when it came to the food. My first taste was dinner at Kailani, an Italian dining experience where everything is made from scratch from what must be great grandma’s hand-me-down recipes. 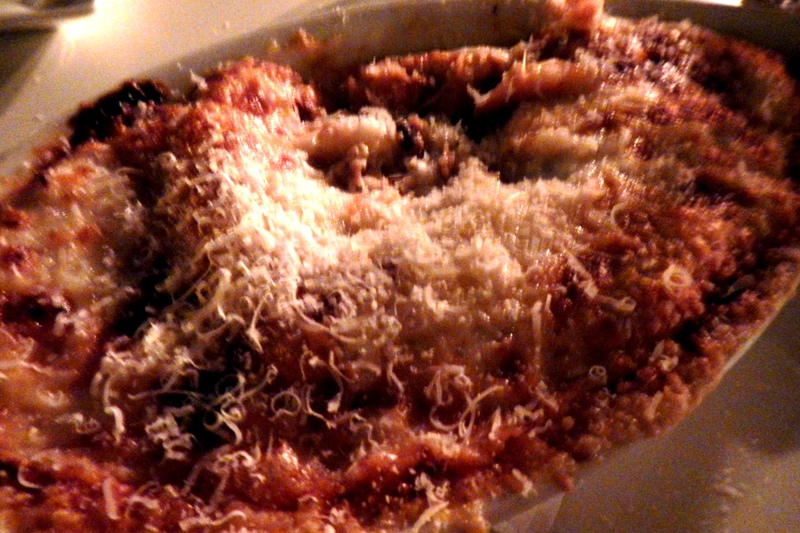 The love and care was there in the first nibble for me, as the lasagna sent me to my happy place. Bite after bite it was fantastic, only a disappointment when it was gone. I contemplated ordering another while staring at the empty dish, but didn’t dare try to fit in another taste after so much delicious food. Lunch the next day at the Sports Bar was just what I had hoped: a tasty, simple treat with a great view of Manele Bay. Like other guests who were there watching games, playing complimentary billiards or video games, or just munching on some lunch, I was able to kick back and relax. It was exactly what I wanted at the time, an opportunity to put my feet up and slow down – truly get on Aloha time. Later that night, I stopped into another one of the resort’s savory restaurants – One Forty. 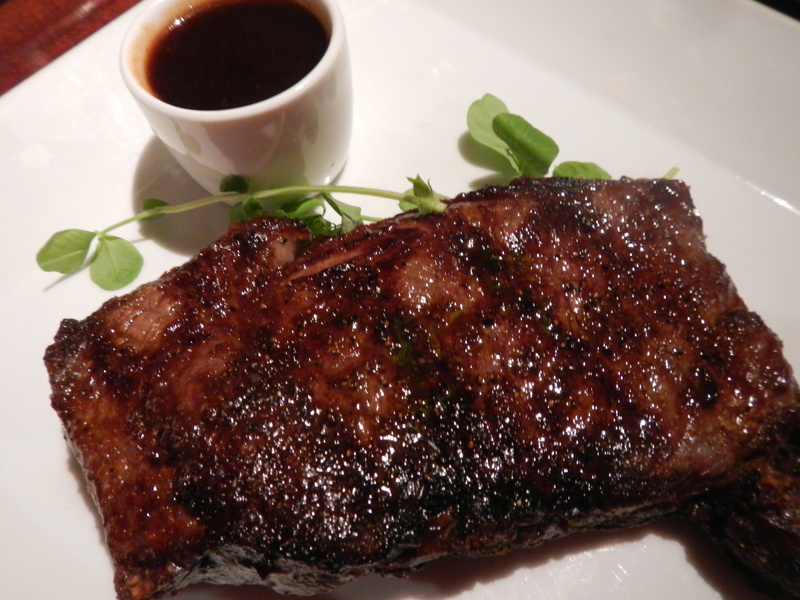 The prime rib with a cabernet bordelaise sauce was just what I needed. And when combined with a side of broccolini and a baked potato the size of my head, it was more than I needed. But that didn’t stop the staff from sending more goodies my way, and all with a smile. I groaned more than my clothing’s stitching, but still they sent me more. It was impossible to stop, as each dessert – one on top of the other – was better than the one before it. The next morning, when breakfast arrived at my room, I still wasn’t hungry because of all I ate at One Forty. 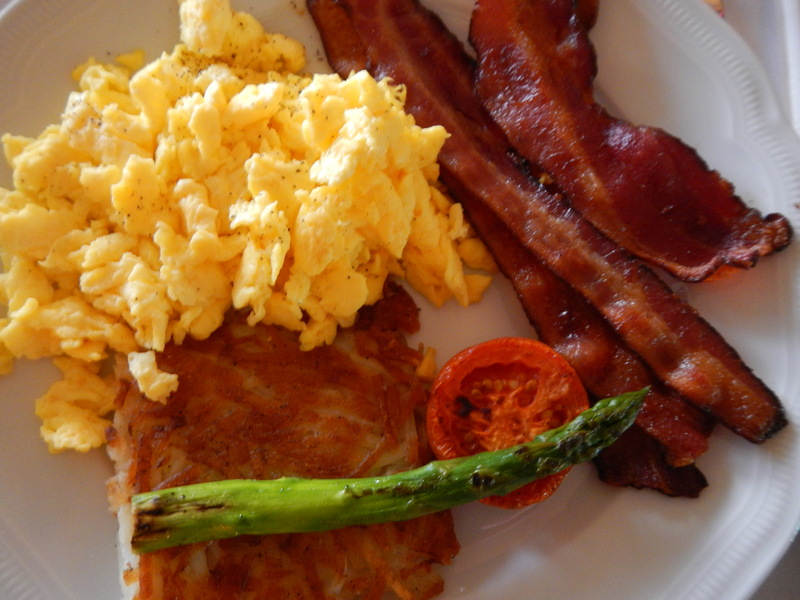 But a scrumptious breakfast complete with bacon, eggs, and potatoes, is hard to ignore. I ate what I could, knowing I had a busy day of exploring Lanai ahead of me, but I was lucky to put away half of it. And I only made it that far because it was that good, as was everything at the Four Seasons Resort Lanai at Manele Bay. If Manele Bay’s upcountry cousin – the Four Seasons Resort Lanai, the Lodge at Koele – is the best resort in Hawaii, then it is a very close second. 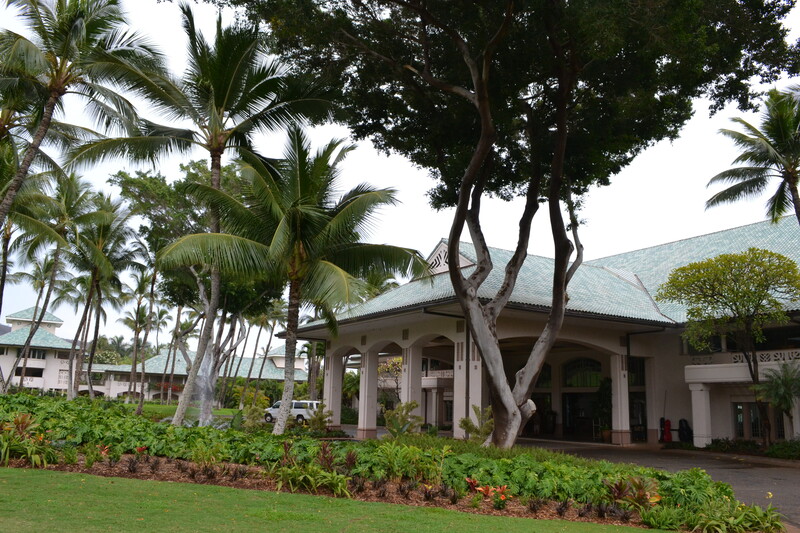 Everything I experienced during my stay – from the rooms, to the food, to the friendliness of the staff – made me question if it couldn’t be the best resort in Hawaii. I still wonder that now, going back and forth between which of the two I’d prefer. In the end, for a return visit to Lanai, I’d want them both. And there’s no reason not to stay and experience bliss at both resorts. The seamless transfer, the variety of experiences, and the food all make the splurge of a two-in-one vacation more than worthwhile. It looks like you had a trip of real luxury there Jason. As for that prime rib, it looks massive, no wonder you were so full. I also love the idea of being sat on the balcony watching whales, what a treat of nature. It’s one of the best places to stay on the islands. You really can’t go wrong. It’s worth it when you get there. Definitely worth it. They both really are great, and it is hard to choose a favorite. That’s why I think it’s best just to enjoy life at both! You just made me so excited for my honeymoon in June! I could picture myself hanging out anywhere there, as well as its cousin, and not just because I was there!